NOTE: We are not longer holding sweat lodge at Hope Peace Ceremonies. To be notified when we have relocated, you may sign up for the newsletter in the column on the right. As I emerge from the shadowy realms of deep winter and the Solar Eclipse portal of last August, I owe you an update on everything that has happened at Hope Peace Ceremonies in the past year. In October of 2017, I sold the house and land where I have lived for 24 years, and where I have held ceremony in the sweat lodge for 15 years. It started on Christmas Day, 2016. I looked out the back window and a flock of about 20 turkeys walked in a circle all around the house! We don't get turkeys here that often. I've seen this many turkeys in the year twice in 24 years. As the ground thawed last spring, I realized it was time to change the energy. I had bought the place with my ex-husband, who died in 2016. I had completed raising my sons in that house, and they are both grown men, nearly 40! I began my adult spiritual journey by the agency of that sacred land. I loved that land as my body, and couldn't imagine not living there. I struggled to keep the land, and maintain a very old farmhouse. I began to feel the tug of something new – a new way of living in the world. I felt how as an elder, a Crone Queen, I was using too much of my energy to hold and manage this land, and my personal history enmeshed in it. I was too attached to that land, that home, and my dreams for the land. It was time to let go. Time to change the energy. In May and June we worked hard to get the house and land spiffed up to put on the market. I worked with the best realtor, Annie Higbee of Downhome Maine. Intuition told me that Annie's energy as well as her expertise would be the right support for the sacred letting go of this land. In the summer Solstice sweat lodge, I got the crystal clear message that I am being repotted! My mission and my personal growth and fulfillment of purpose depends on moving to a bigger pot. What that pot looks like is an unfolding story. Knowing that I had to leave the land in Hope made the letting go a bit easier, even possible. Yes, it began to be joyful! I made a ceremony calling in the next caretaker of the sacred land. I made a ceremony opening myself to the call of my new land. Spirit and I were partners in this repotting project. Remember the turkeys on Christmas Day? The listing for the house went live around July 7th. Starting that week, I was visited by turkeys every day. The grey and white cat Bougie spies on the turkeys. They know exactly where he is. And healing from Lyme infection. I notice that a flock of five adult turkeys would bring their chicks through the back yard every day. Day by day I watched the young turkeys grow. They were two sizes, meaning that one clutch had hatched earlier by a few weeks. One day they surprised me by all flying into the trees! They were roosting every night in the woods just beyond the backyard meadow. What a blessing! I would wake at dawn to watch them fly down, and then observe at sunset when they gathered in the meadow to feed and fly up to the high roosts for the night. Bougie the Cat ran into the field to flush the birds. Turkey medicine signifies gathering the harvest. I sensed that they were helping in the process of the sale of the house. I also felt they might be for the new owner as much as for me. The turkeys were calling them in. Interesting that they day we signed the sales contract in September, the turkeys went away! They stopped roosting in the trees, and I did not see them on a feeding stroll through the meadow and garden. Their work on the land was complete. There was one more example of animal medicine power. On the last day of negotiations post inspection period, I was taking down the sweat lodge for good. Annie called with some final information, and I was taking a deep breath, because this was it. SOLD! I looked down at the sacred mound. A two foot long garter snake emerged from the rocks, and raised its head. It stayed there throughout the conversation. I took it to mean: Get on with this! Shed your skin. Shed this house and land. Time for rebirth! Snake says time to shed. Rebirth! And so with the help of the animals, I made the transition. The animals said GO! They called in the new owners, a wonderful young family who is farming the land, and they are also pretty excited about all the ceremony we did there for so many years. The last week as we were moving and getting ready for the closing, it even felt that the land was kicking me off! The land was ready to welcome the new custodians. My work here in Hope is finished. Through the dark of winter, I felt alone and homesick. I have felt bereft and ungrounded walking on concrete every day. I miss my fires and the sweat lodge. At first I was in “transplant shock” as a seedling will be when first repotted. Now I am feeling my roots grow strong, and new leaves and shoots and buds forming. I am enjoying life in Belfast, living in town. I walk everywhere. It is fun. This time in town is important for gestation. Something new and big is wanting to be born, and we'll all have to wait and see what it is. I am prepared for this transition to take a year or two. I am ready if it happens faster than that. For the foreseeable future, there will be no more sweat lodge ceremonies. It is an unfolding revelation whether I will be called to build a lodge and hold that ceremony in the future. I listen for the voice of God and for the voice of the land to guide me in this matter. I will keep the website up during the transition. I will maintain the email list, though I will not be sending regular emails. I will tell you when I move again, and if/when we resume ceremonies open for the community. From the deepest place in my womb and heart, I thank you for being part of my community. Those who have joined us for ceremony, who have supported the Peace Chamber, who have shared the news with others, you have been my reason to keep going. You have blessed me beyond measure. I hope that Spirit has blessed you and the sacred land in Hope, Maine, has blessed you. Thank you for holding me through all the changes. For those reading who always wanted to come to a lodge and it never worked out, I appreciate you too. Stay in touch. We may yet light the sacred fire in a new location! The Sacred Fire in my Heart will always be lit for you! I'd love to hear from you – your thoughts, your ideas, your prayers and your blessings for the repotting. If you have a lead on beautiful land for sale, please think of me and email me the information. My best email for something like that is carla.goahead@gmail.com. I am excited about Waldo County near Belfast, and I am open to other locations, because ultimately, I will go where Spirit has prepared my new and roomier pot! Another note: We are looking at new ideas around community, land custodianship, and ways of working together. If you have expertise, or desire to learn more about this, reply to this email and let me know. I'll invite you to our conversations my friends and I are having on these matters. That's the news from Hope Peace Chamber. I wish you good heath, abundance, and many blessings! Here are some pictures of my new home! This Sunday, May 8 is the sweat lodge in Hope. I just realized that it is Mother's Day. For those of you committed to honoring your mother or receiving honor from your children in person, I send you blessings. All the rest of us, let us gather in ceremony to honor the Mother of us all, and our mothers who have cross over. Lodge details are below the photograph. Thank you for your prayers and thoughts in the Sun Moon Dance last month! I got what I needed, and now the vision slowingly integrates and unfolds. Many blessings. Here is a picture of the arbor taken by Chief Jane the morning after our dance. Gather on the land at 1 pm. Share potluck feast about 5 - 7pm. Note: You may also attend a work day for your giveaway. Call to inquired about scheduled work days on the land. The Sweat Lodge has awakened with the increasing light and calls the Sacred Fire to be lit, and for the Stone People to come. This sweat lodge will listen deeply to the Grandmothers. We are beginning the Venus Cycle in Capricorn, the Grandmother time. All people, men and women together, are called to listen to and speak with the Grandmothers. The lodge is still covered from the New Year's Day Lodge. The deep snow of the Capricorn New Moon has melted, though we have a sweet new covering. Who knows what we'll find on February 23rd. If I need your help digging, I'll reach out. We also have a cord of good ash firewood on the property. If you have some time to help stack, it's nice to be here working on the land. 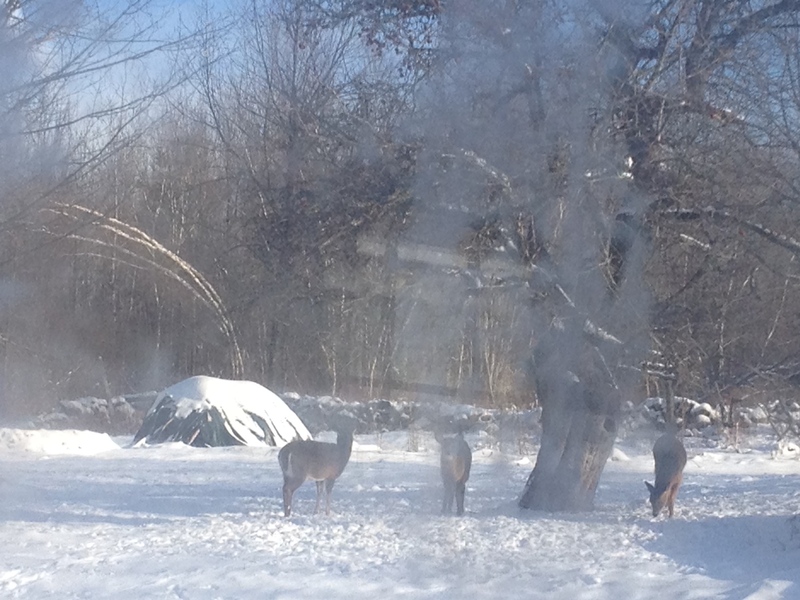 The deer in their winter coats eating frozen apples. We will hold this ceremony in any weather conditions, rain, snow, sleet or heatwave. Only if a blizzard is in progress during Sunday morning travel time will we postpone. Meanwhile, it is my prayer for you that you have been warm and healthy, and are feeling blessed by the longer days. Come to the land and pray in conscious, loving community. I want you to know about this interview about the Venus Cycle, as it is connected to the energy of this sweat lodge. I'll interview Cayelin Castell, co-founder of the Shamanic Astrology Mystery School. Cayelin will share the powerful medicine of the new Venus Cycle in Capricorn: Reclaiming the Grandmother Goddess. Cayelin will share how you can work with your own Venus Cycle, and what it can mean to you. I am eager to ask Cayelin questions about what the Grandmother Goddess means to people of all ages, and what connection there may be with the Hopi Prophecy: When the Grandmothers Speak, the world heals. On June 17, I interviewed Jeff Brown of SoulShaping.com on Live with Diva Carla, a podcast of OrgasmicAlchemy.com. We talked about the Awakening Masculine and his relationship to the Awakening Feminine. Here is an article following up the interview, and providing the link to listen to the whole thing. And this quote was in the first 12 minutes! The conversation with Jeff Brown was rich and inspiring. While we focused on the challenges and opportunities for the Awakening Man, we also grappled with the "genderation gap" between men and women. We considered who we need to be and how we need to be with each other to respect and nurture the Awakening process, or as Jeff calls it, "Waking Down" into the body. We looked at the broader culture, and what needs to be transformed so that we can remember how to be human together again. Yes, we talked about sexuality in the embodied awakening condition. The whole conversation pointed to the transformation that has begun in human culture, as we recover from the 20th century, and re-vision what it means to be human in the 21st century. There are a lot of us here, and we are a diverse and contentious bunch of beings. We are also creative and expressive, and that means we will have society, economy, commerce, art, religion, and government. If we are to survive and thrive through the 21st century, we look to make our economies and systems sustainable. Does changing how we do things on the surface -- clean, green, and lean -- make our way of life sustainable? Not if it is built on the same toxic value system that socializes men to be "malevolent masculine", lording it over what i'll call the "pissed-off feminine." What is the foundation of sustainability? What form is the seed of a sustainable, sacred human society that works? It starts with human beings, men and women together exploring with integrity and willingness the complex emotions, fears, and desires that are the very soil of transformation. Jeff and I share the vision that the Sacred Masculine--the Benevolent Warrior--has the purpose to encircle, protect, and defend the Divine Feminine. We were talking about personal and interpersonal healing and awakening. Yet it is a seed of an idea that can grow into a new vision of society. As a woman who guides ceremony, I know we call upon the masculine to guard the perimeter and hold the light for our sacred feminine magik. How does this ancient memory express in contemporary life? How does it change how we create family, community, education, business, and government? Can it be the foundation of a sustainable, healed world? The circle of Benevolent Warriors protecting the birthing and medicine of the Divine Feminine is a cosmic energy signature that runs through all of life. It is about more than how men and women act, but it starts with men and women. We are witihin this idea, and we have so much to remember with each other. What does this image evoke for you? How do you see this form, this metaphor, playing out in your life? What else opens up for you as you listen to the conversation with Jeff Brown? Please share this audio with friends. Plaster it all over social media. Give it to your clients, church, support groups, strangers! LOVE IT FORWARD. Listen to the audio more than once. Start conversations with each other, and really start listening to one another. There is enough food for thought in this 75 minutes to keep you talking for years. Fill in the gaps. Expand and extend. Create something new! Call to Action: After you listen, please share your thoughts with Jeff and me, in public, on facebook. Of course, if something deeply personal comes up for you, click reply and request a time to have a conversation with me. I'll be here for you. You are also invited to join Jeff's new LOVE IT FORWARD movement. It is among other things, a distribution channel for books and products sold via homeless people, bringing them gently back into the flow of life. You can participate too. Check out the website to learn more. And again I recommend you read Jeff's book: Soulshaping: A Journey of Self-Creation. Order it from his webpage or Amazon.com. I reviewed Soulshaping in my last newsletter. It's a powerful companion on your path. We are not broken and we do not need fixing. We do need to be listened to, and heard. And we each need to speak our truth without fear of judgment or shame. 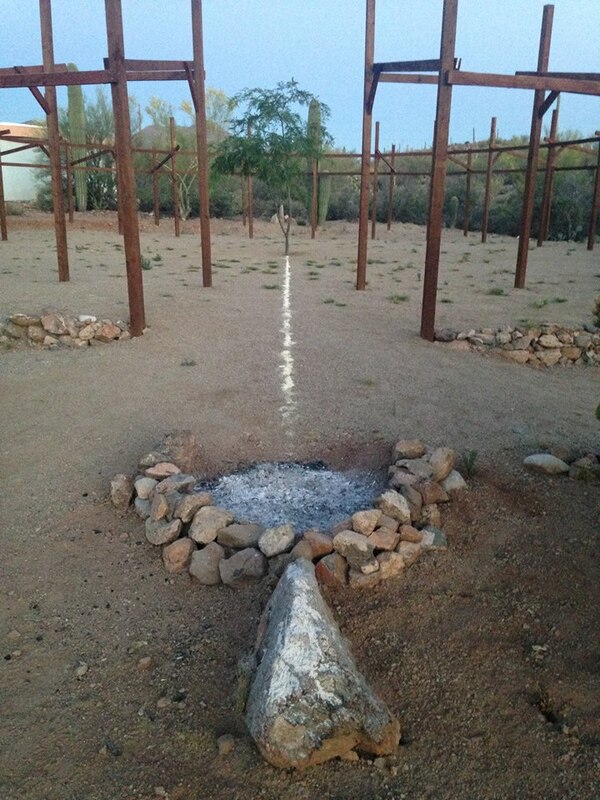 At last night's Fire Ceremony, the fire collapsed almost immediately in the West direction. Grandfather Joseph Rael teaches in "The Way of Inspiration" that at Wheh Leh, 8, we fall. We must do what we have been taught NOT to do. We have been taught not to fall, and so we must now fall to complete creation. 8 is infinity. We are falling into infinity, the foundation of Life. The fire fell from east to west, from vertical to horizontal. Literally demonstrating that by falling we are moving from the truth of bonding our physical and mental bodies. Now we Know. 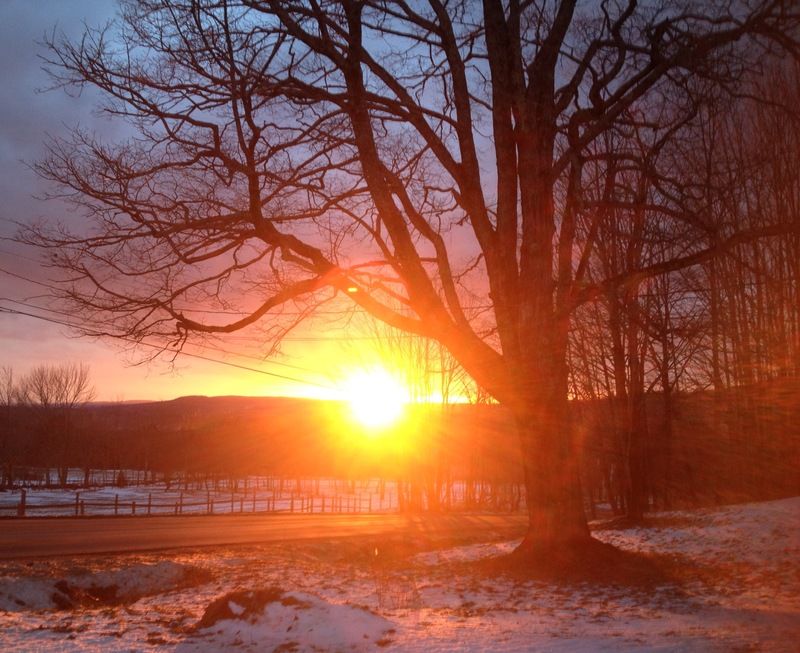 Today is the Winter Solstice, the one we’ve been waiting for! Before I shower you with Solstice Blessings, I want to remind you of the details of the New Year’s Day Sweat Lodge. Theme: How am I being called to serve? New Year’s Day Sweat Lodge is a Hope Peace Ceremonies Tradition. I hope you will join us. Purification and prayer is a great way to begin the ceremony of the year. We never know what the weather will be. We’ve had warm sunshine, 20 below wind chill, blizzard, and pouring rain. It’s all good! We will sweat in any weather conditions. Please your judgment about travel if there is snow or ice that day. Here is what the lodge looked like yesterday morning. Solstice is the day the Sun stands still. December 21st is the Capricorn Solstice, and June 21 is the Cancer Solstice. The sun swings between these marks like a giant pendulum, counting off the solar year in one complete swing. 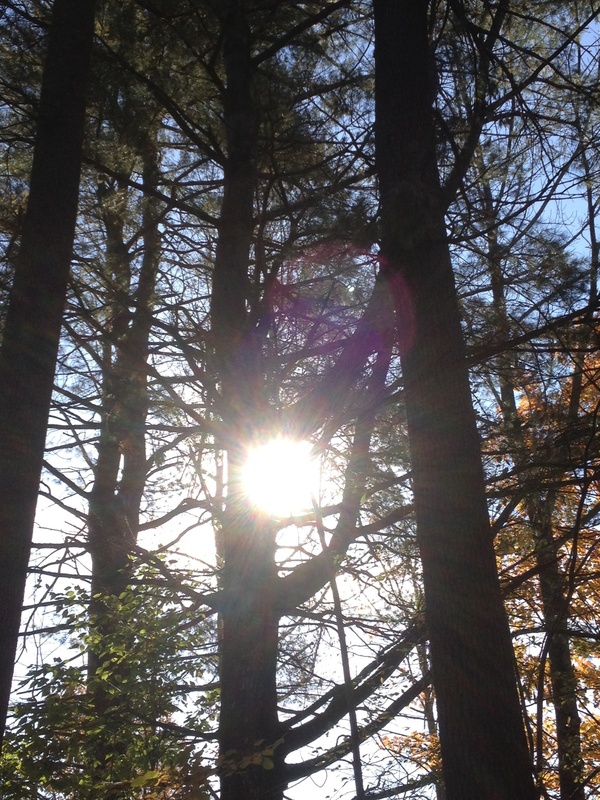 Energetically, when the Sun stands still, a portal opens. This year since last Capricorn Solstice has been a big year for portals-- with new moons, transits of Venus, solar and lunar eclipses, conjunctions-- all carrying a swift intensity. This year has felt like the labor pangs of the Cosmic Womb. The Great Mother is giving birth to Herself. The portals are contractions. We awakening humans are the baby. We are collectively birthing ourselves into the returning Age of the Divine Feminine. On this final day of the Mayan calendar, the end of the 13th Baktun, give thanks for all that has brought you here. Tomorrow, the next age begins, the return of the Great Mother. The Divine Masculine greets her with open arms. The Winter Solstice in the North is the Shadow time of year. We divide the celebration between sober ceremony and merry making. It is a time of shining light into the darkness. We associate this festival season with gift giving. It is in the darkness of the shadow that our gifts are found! Today I wish you bright blessings, and deep joy. May your sojourn in the womb today be released into orgasmic birth tomorrow. Will you commit to being an explorer of an uncharted, brand new You! in this next age? Today we honor the shortest light of the year, the Dark Womb. Tomorrow, and Christmas, and Hannukah just past, we honor the returning light shining in the darkness, and by January 1, 10 days after Solstice, as we enter the Cosmic Womb of the sweat lodge, we will begin to perceive the slight lengthening of days, evidence that light triumphs, and always will. I wish you joyful holidays, rich gifts and feasting, warm embrace of family and friends. I will embrace your joyfully when I see you this holiday and on New Years Day at the Sweat Lodge. Rosie and Opal make new home in Hope - PenBay Pilot. Hope Peace Chamber has new neighbors on the other side of Hatchet Mountain. The Hope Elephants, Rosie and Opal, have moved in to their retirement home. I can feel the beautiful vibration already!